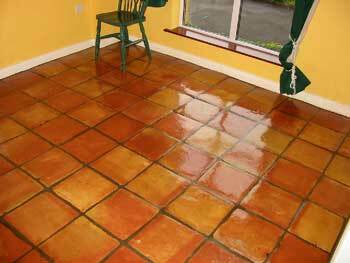 Here you can see how Cleaning Doctor restored a grimy, old terracotta floor to pristine condition. 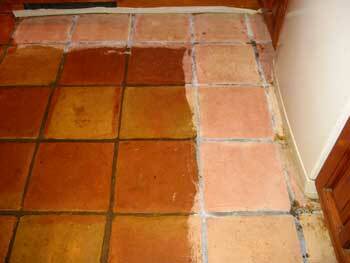 A terracotta tiled floor before cleaning shows several years of old polish and embedded grime. 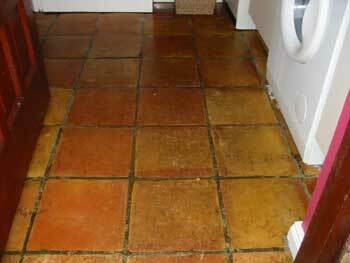 Terracotta tiled floor partially cleaned to reveal the original surface of the tiles. 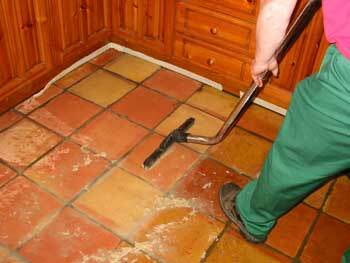 Old coatings are dissolved and stripped from the terracotta tiled floor. New protective seals were applied, which enhanced the beauty and the colour of the floor. The old floor was brought to life after a full restorative cleaning and sealing by Cleaning Doctor.